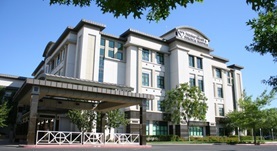 Dr. Frank Chang is a radiology specialist in Fresno, California and he works with several hospitals in the area, including Fresno Heart and Surgical Hospital and Community Regional Medical Center. He got his diploma from Albert Einstein College of Medicine of Yeshiva University and did his internship at the Mount Zion Medical Center University of California. 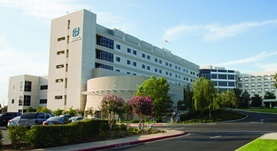 Dr. Frank Chang completed his residency in Diagnostic Radiology at UCSF Medical Center. The doctor is board certified in Diagnostic Radiology and has an experience of more than 20 years. Dr. Frank Chang has contributed to 1 publications. Distinct long-term neurocognitive outcomes after equipotent sevoflurane or isoflurane anaesthesia in immature rats. Ramage, T. M.,Chang, F. L.,Shih, J.,Alvi, R. S.,Quitoriano, G. R.,Rau, V.,Barbour, K. C.,Elphick, S. A.,Kong, C. L.,Tantoco, N. K.,Ben-Tzur, D.,Kang, H.,McCreery, M. S...; Br J Anaesth. 2013 Jun.